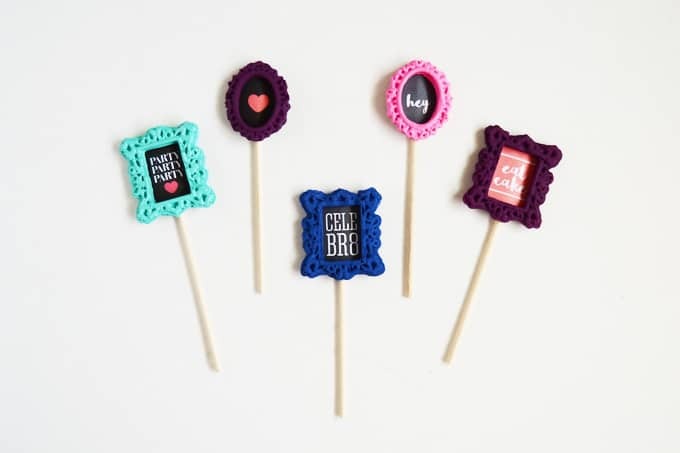 Learn how to make some fabulously cute food picks or cupcake picks! 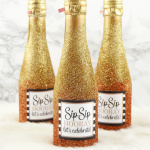 These are perfect for parties, wedding, holidays, and are reusable. Hello friends! It's Aki here again from Minted Strawberry. It's fun to make and have unexpected and unique kitchen and food accessories – it paves the way for sometimes interesting conversations. 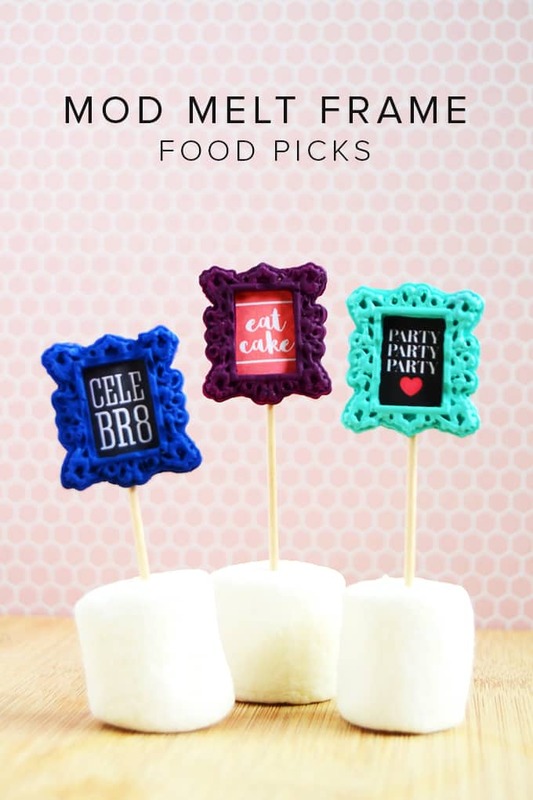 These DIY food picks are an example of that – wouldn't you want to ask where the host possibly got this? 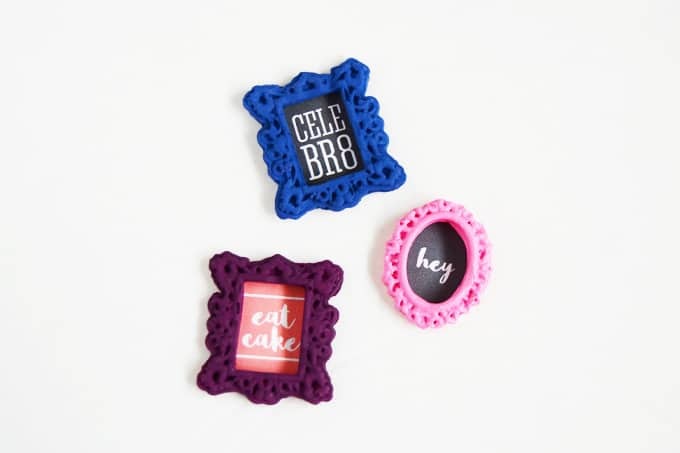 I was making some dollhouse accessories for my little sister when I thought of making these fabulous mod melt frames into cute food picks or cupcake picks. I figured I would try them and see, after all, there's no harm in trying, right? 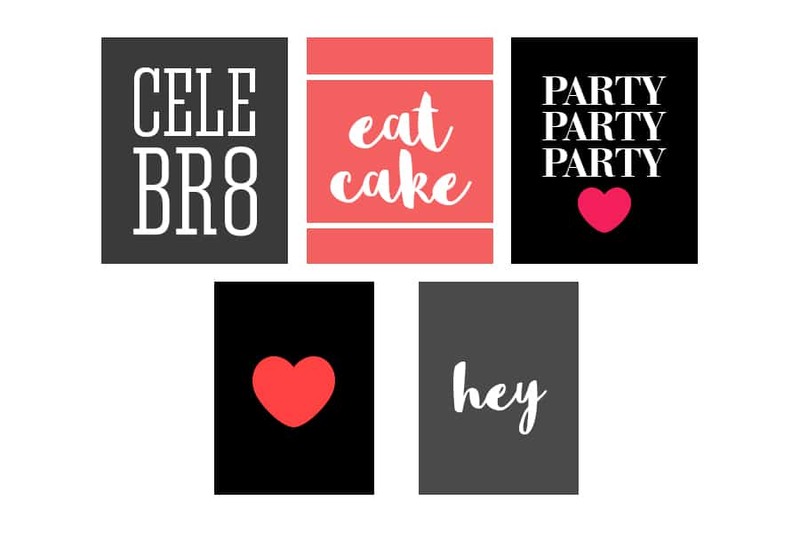 I so love how they turned out that I am planning to make a bunch to send to my sister to use for her cupcakes for her birthday party in a few months! I am quite sure a lot of her friends are going to ask where she got them. And it's easy too! Read on for the how-to. Step 1. 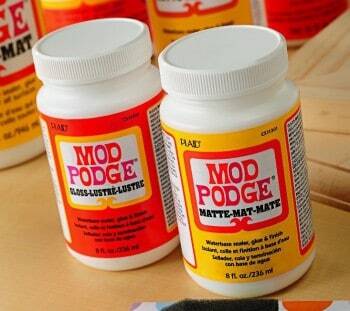 Squeeze your hot glue or mod melt gluesticks onto the Mod Melt frame of your choice. 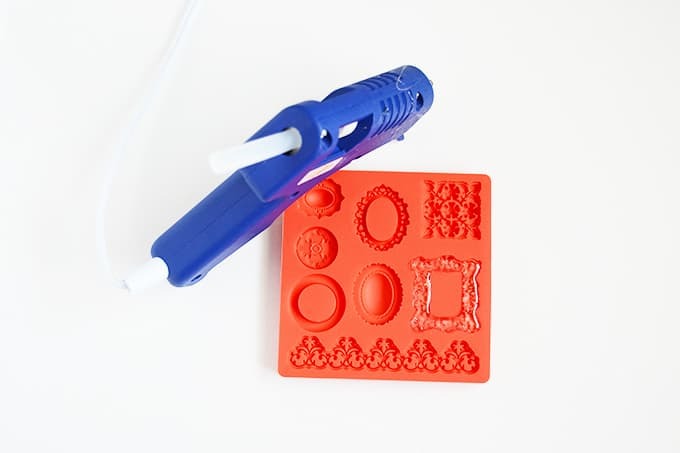 If you are using hot glue, use a low-temp glue gun. 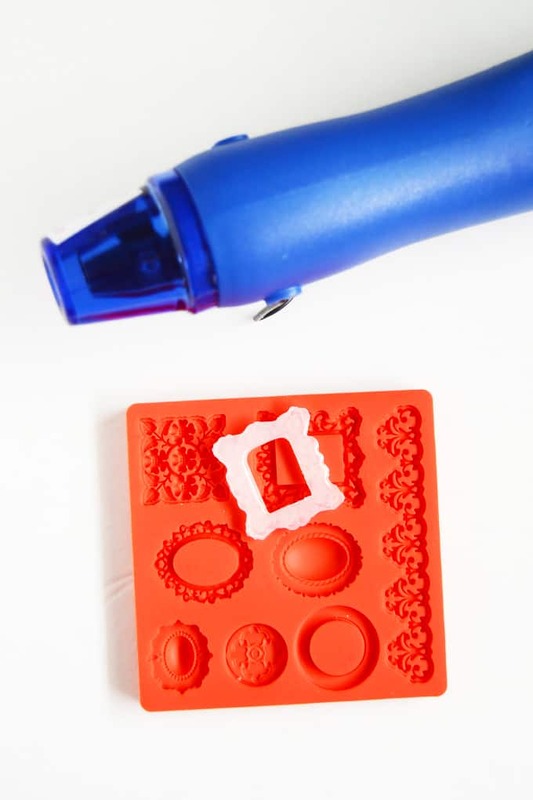 If you are using Mod Melt gluesticks, make sure to use a high-temp glue gun to ensure even melting and easy squeezing. Wait for your frame to harden. Don't sweat it if it doesn't turn out perfect! 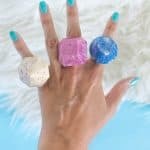 If you aim for perfection, you might want to use polymer clay instead. Step 2. Separate your frame from your mold. 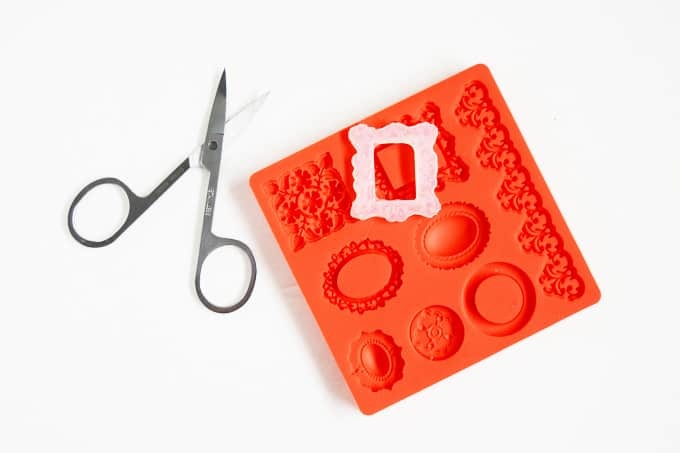 Use nail scissors to trim the edges. Step 3. For a cleaner edge, use a heat gun to lightly melt the edges of your frame (about 5 second bursts or so). Do not focus the heat on the frame too much as it will melt and stick onto the surface you are using. Step 4. Paint your frames – it's best to use new paint (that is still runny) and to spounce it as few times as possible. Paint two coats or so for full coverage. Use a detail brush to get into the nooks and crannies of the frame. To ensure fullest coverage, choose a darker color over a lighter one. Make sure to paint over the back as well. Step 5. Print your ‘art'. 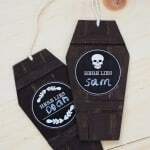 I made a few that's available to download in the supply list (linked), but you can make your own as well. Measure the inside of the frame and add around 0.1 cm bleed all around to ensure your art fits just right onto the frame. If you are using mine, print it at 1:1 scale. The top three are for the rectangular frames, and the bottom two are for the circular ones. Step 6. 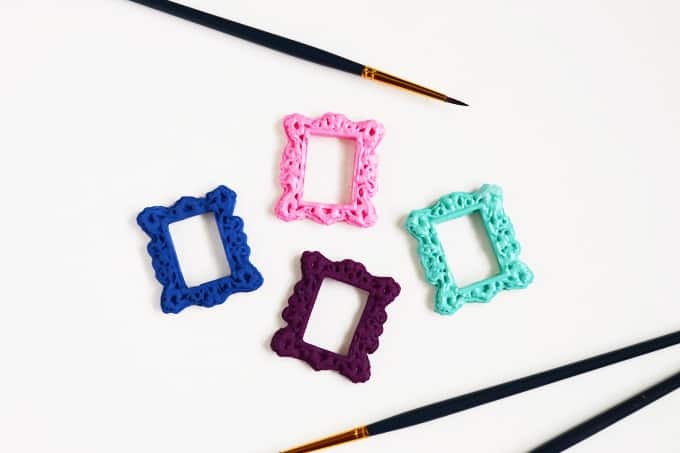 Glue or tape your ‘art' on the back of your frames. Step 7. 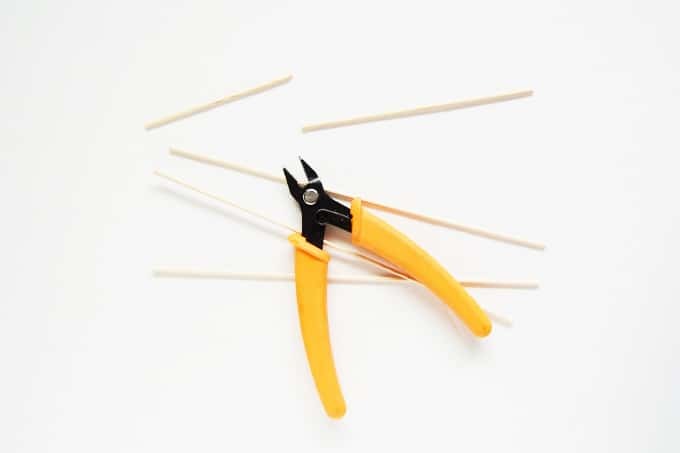 Cut your skewer down to size using your cutter. 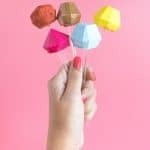 You can also use food picks or toothpicks. Step 8. 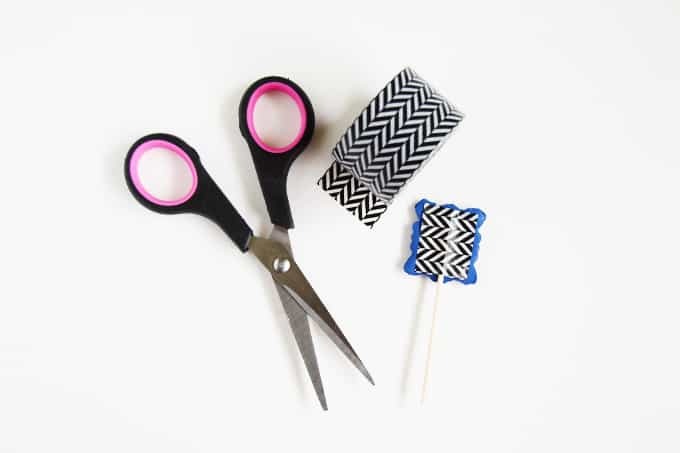 Attach your pick using hot glue or use washi tape for a less permanent option. And you are done! Love how fun and elegant they look! 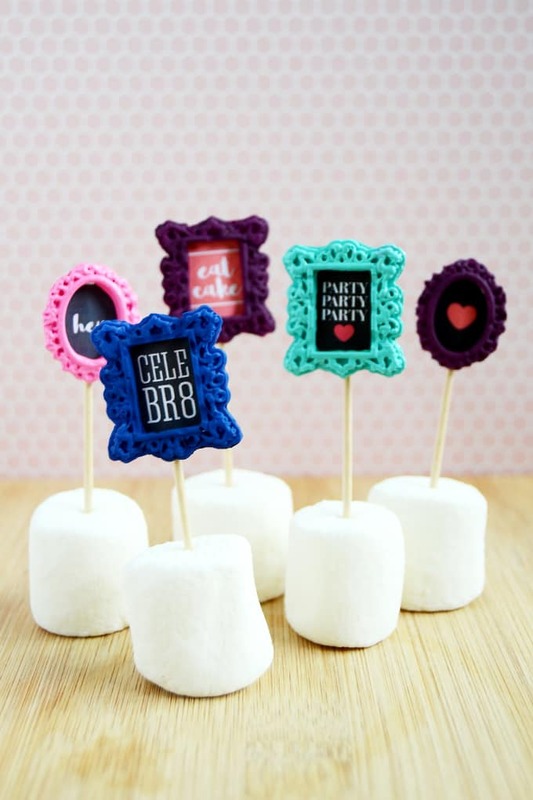 Perfect for a tween or teen party or even as wedding food picks – don't you think so? 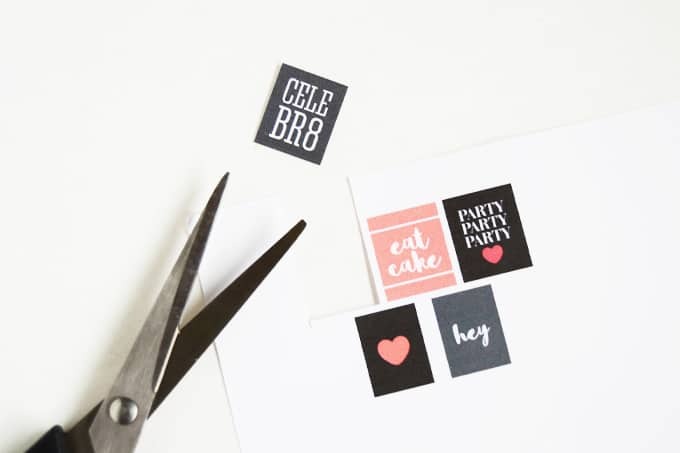 For more DIYs, don't forget to stop by my blog or follow me on social media! Happy crafting, friends!